Acquire a "Universal Programmer". UC Micro System's UNIPro 110u is one such programmer. The photos below explains the process of restoring the bootloader using this programmer. The procedure for doing the same using a different brand of universal programmer would be similar. Download and install the universal programmer's PC frontend software. In case of UNIPro 110u you can get the latest version from here (as of the day of posting this blog, the latest version was 4.20 and it did not yet work on Windows 7). Visit the "P89V51RB2_RC2_RD2 Product Information Page" at NXP here. Download this ZIP archive (p89v_lv51rd2_bl_upd.zip). It contains the bootloader HEX file. 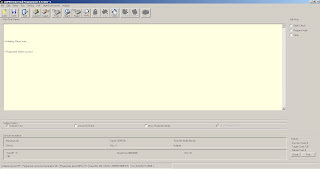 Select the microcontroller in the programmer frontend software. If the microcontroller gets programmed successfully, then the bootloader would now reside in the flash memory of the microcontroller. The microcontroller will now work again with FlashMagic. 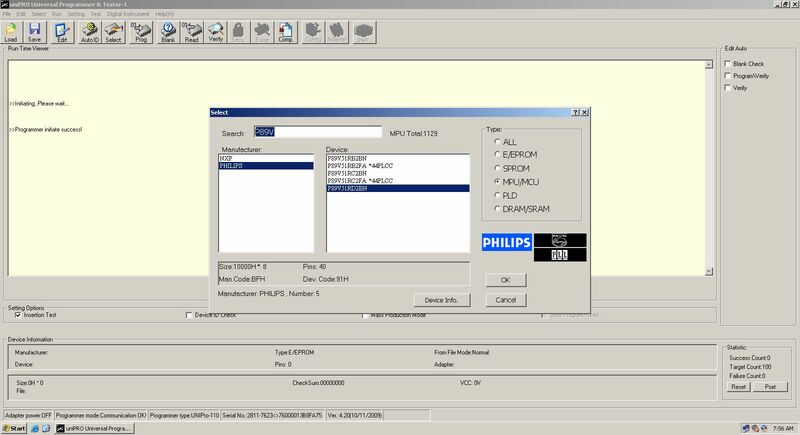 An updated version for the bootloader for P89V51RD is available from FlashMagic's website. Direct link here. Read the enclosed PDF file in the ZIP archive to know how to use it. This process will also work with SST89E516RD (manufactured by SST) whose bootloaders are corrupted. 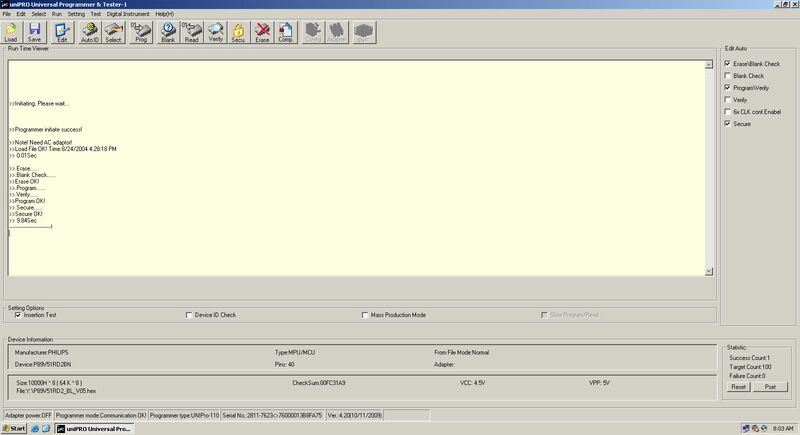 EasyIAP (which is equivalent in functionality to FlashMagic) is used to communicate with SST89E516RD and download program into it. While operating the Universal Programmer, you will need to select the microcontroller as "SST89E516RD". The bootloader for this microcontroller is available here. Download the ZIP archive named "IntMode_x5xx.zip" (direct link here). The bootloader is in form of a BIN file (instead of a HEX file) named "F51MBLL5.BIN". 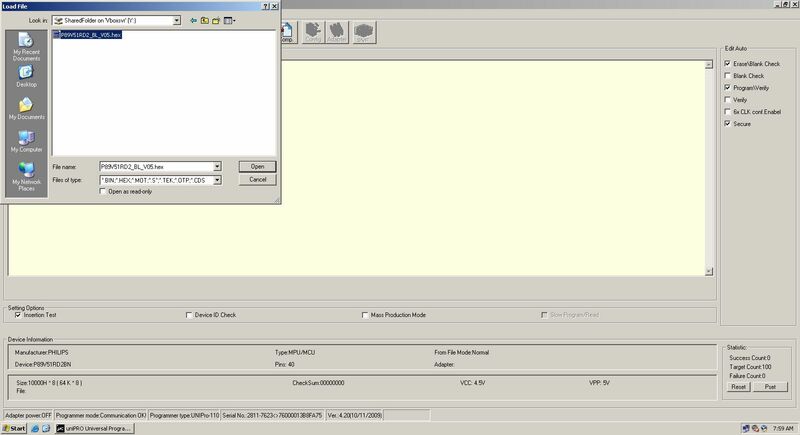 The "IntMode_x5xx.zip" archive also contains the setup file for EasyIAP which is similar in functionality as FlashMagic but is instead used for programming SST's microcontrollers. i see that you are using p89v51rd. i was using p89c51. and lately i bought p89v51rd. i am burning p89c51 through RS232. but when i changed the chip to p89v51rd(as i know is the same.. but bigger memory.) Flash magic program cant burn the program. what do you think the problem.. 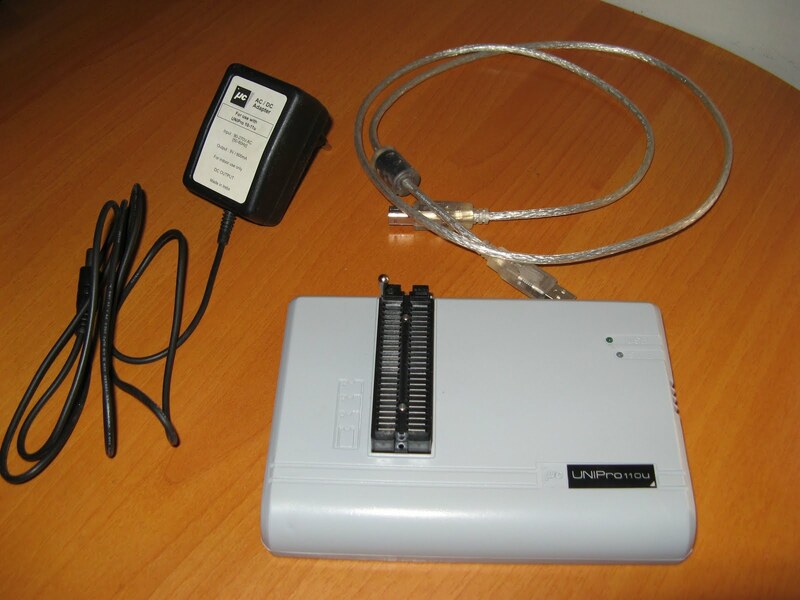 I went through the blog, do you by chamce have programmer software for unipro110u.